WhatsApp is preparing to enter the business arena, with the chat giant apparently readying a mobile app for businesses and implementing a system of verified accounts for companies. Other sources have also talked about the incoming app, although there’s not much detail on exactly what functionality it will incorporate. However, speculation points to the ability for businesses to send automated customer support messages. 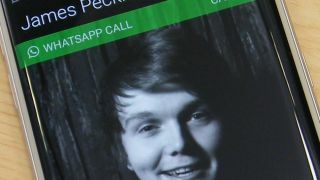 So it would seem that Facebook – which owns WhatsApp – is trying to find a new angle to leverage the popularity of this chat service, and that angle appears to revolve around businesses and customer support. WhatsApp has over a billion users across 180 countries, so clearly there are major monetization opportunities here. And as mentioned, the company is also readying a system of ‘verified business accounts’ that does exactly what it says, meaning that WhatsApp will verify that a contact phone number is indeed tied to a specific business, clearly displaying its validity with a big green tick icon. Users will be able to block businesses if they so wish, and prevent organizations from communicating with them. The business verification system is currently limited to a small number of companies, as it’s just a pilot program right now, but we’re guessing it might not be long before this sees a wider rollout.